Authentic look of real wood. 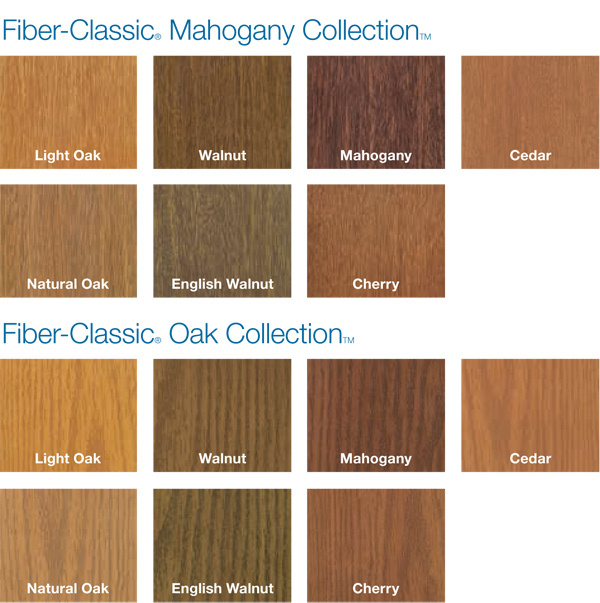 Dashwood offers the convenience of factory stained wood grain fiber glass entry doors in seven different finishes to compliment your natural wood features of your home or make a truly bold and welcoming accent to your entranceway. Stained wood grain fiber glass provides the authentic appearance of real wood with a durable longer lasting finish. Our hand applied staining process distinguishes Dashwood entry doors from the mass produced spray on application methods by other manufactures. For Do-It-Yourself homeowners, an easy to use Same-Day® Stain kit is available for you to create your own unique stained entry door. This all-in-one kit provides you with all the stain, topcoat, application tools and mineral spirits for a professional result.